through brewer's rice cultivation, vaudeville events, and more. As a master brewer and owner, I heard that cultivation is done on your own. sake brewery, Ibaraki Mikito studies diligently every day. He has plenty to say about making sake. Upon my return from studying the science of cultivation at Tokyo Agricultural College, I completed a two-year apprenticeship under master brewer Tama. That was in 2004. I am still new to the world of sake brewing but I learned many techniques from more advanced sake makers in Harima district. They shared information with people of about the same generation as me and helped us overcome a lack of experience while making Ibaraki sake. 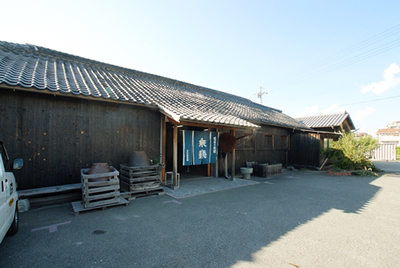 The Harima sake brewing union is fresh and open. Everyone is so kind. 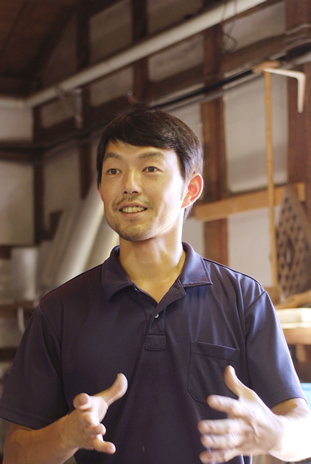 If there are any questions about sake brewing, they enthusiastically teach more, and more. Everyone works so diligently that I can say it would be nearly impossible to find another union like this. Usually, I work on my own but I am in a place where I have friends so I am blessed to feel that I am not alone. Just what kind of sake is the classic Rairaku? The "Rairaku" series taste changes depending on the color of the label. It is made from a particular sand eel derived fish oil called "Akashi Gyosho,"
and is a popular item on sale at the on-site sales location. Well, our company was established in the first year of Kaei during the late Edo period (1848). I am the ninth and my father, our business leader, is the eighth generation. The greatest fun in life is chatting and drinking sake with really good friends. Our sake is made with the drink you would have at that type of gathering in mind. On top of that, Rairaku is written with symmetrical characters of good origin. They look the same when read forwards or backwards so there's no right way or wrong way about it. I cultivate the sake myself and so you will not be disappointed that this sake is homemade since long ago. The western area of Akashi City is called Nishinada, a region where well-known Japanese sake is distilled using a famously clear water. 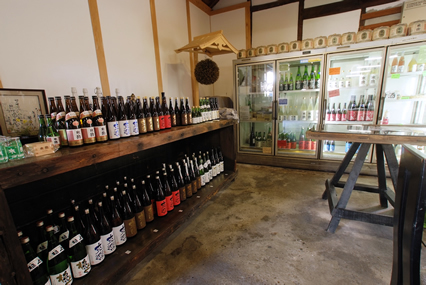 In the golden days of the Meiji Period, there were some 60 sake cellars. There are only a few left now but I aim to preserve Rairaku as the representative Japanese sake of Akashi. The series made with flower yeast is also quite appealing. 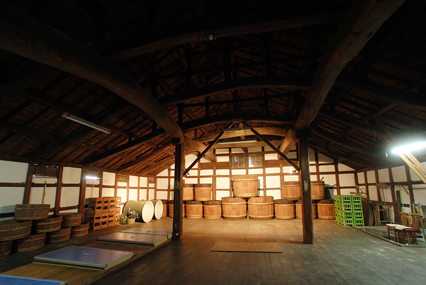 In front of the large wooden barrel, a tall seat was made. It is a space that is now called, "The Brewer's Seat." We started making it the year after I became the owner and master brewer. Yeast is collected from natural flowers like Rhododendron, the Queen of the Night, or Abelia. But we are currently using yeast from the Queen of the Night and Abelia to ferment the sake. Eventually, in honor of Rairaku, I also want to use the lilac flower yeast. Unique qualities of these yeasts are easily extracted because of the type of flower and so I believe we have created a taste that can truly be appreciated by people who may not have relished drinking sake before. A lot of research has been done and its appeal will certainly continue to grow from here on. We are opening the sake cellars and along with local communities are holding events and making Japanese sake. 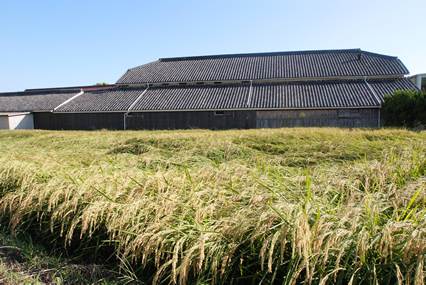 The home's paddy field is heavy grown sake rice. In 2008, we were distinguished as a registered Hyogo Prefecture tangible cultural heritage. As a space with taste and for the enjoyment of the local community, we invited rakugo artist to open "Vaudeville Sake" in 1998. It is open every spring and autumn, twice a year. This memorial association also brings out influential leaders, and has brought joy to everyone. Born out of our relationship with patrons is the New Year's Day Cultivation Association. It allows hands on experience with Japanese sake brewing from planting to harvesting rice for sake, from fermenting and distillation, all the way to the extraction of sake. By not only savoring Japanese sake but also experiencing sake brewing from cultivation, the fun has deepened and I think it has expanded its reach among customers. As the name Rairaku suggests, through Japanese sake, the connection between local communities and Japanese sake lovers is broadening. Use Yamada Nishiki, taste it and clean it in a Tanrei faint scent is refined. To match the meal. Use Yamada Nishiki, after a fruity fragrance, taste of the rice taste with the swelling and firm. Raw home brew of full-bodied with a solid moderate acidity, fresh and crisp scent.